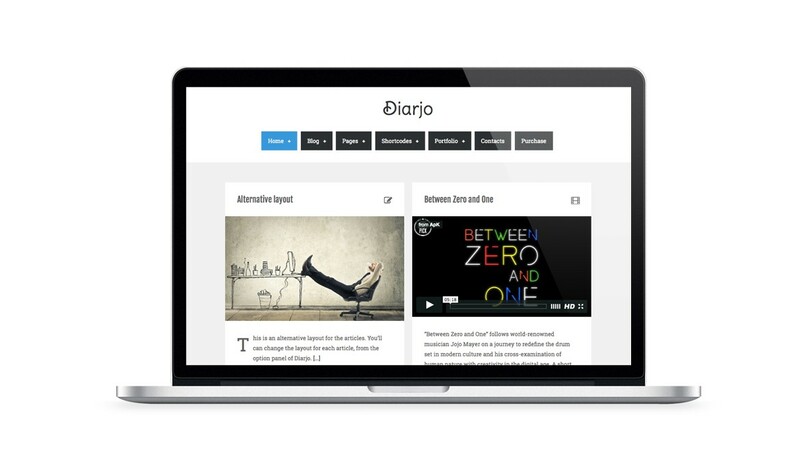 Diarjo, free responsive personal WordPress blog theme. Perfect for blogs and portfolio, Djario offers a minimalist layout that is optimized for mobile devices and based on the Bootstrap framework. With features such as the gallery and the masonry layout, Djario gives you plenty of options to create a clean site that won’t distract from your masterpieces. From the option panel, you can enable or disable a preload system. 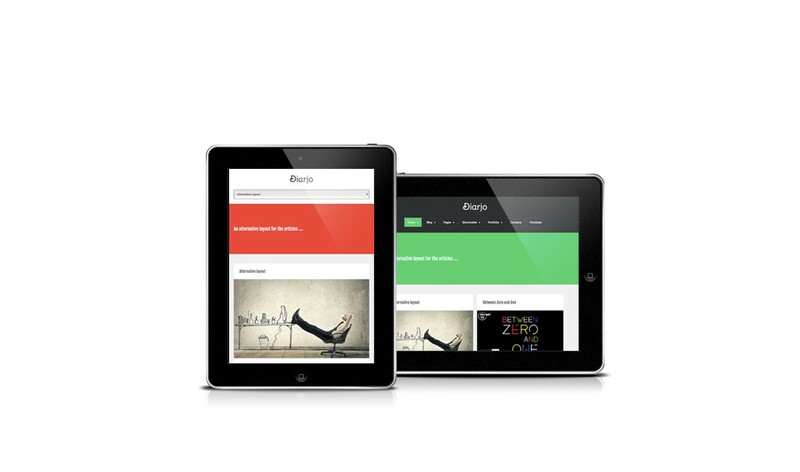 For the gallery posts, pages and portfolio items, you can use Nivo slider or Flex Slider. Add different sidebar for each posts, pages and portfolio items, you can use our custom or default widgets on each sidebar. Is possible use the masonry layout, with four different layouts. With the masonry layout, you can create a layout similar to Pinterest, for display the articles and the portfolio section. You can add and display your works and choose among four different layouts. Besides to the default WordPress widgets, the theme have other eight different custom widgets. With the shortcodes, you can add a dinamic contents into your posts and pages. For only WordPress 3.9.0 and higher versions is available a dynamic shortcode generator. You can choose and use over 600 different fonts, for the logo, the menu and the titles. A complete pdf manual is included with the theme, in English and Italian language. You can choose over 369 different icons, from the Font Awesome collection. See how is easy compose your site, with our videotutorials. Choose a color for the links, the backgrounds, the slogan and so on. Diarjo WordPress theme is not subject to the GDPR as it does not processes and store any personal data of your visitors.